MacX MediaTrans Giveaway Giveaway version doesn't support upgrade. Backup & transfer photos, music, videos, books, Voice memos, Podcasts, iTunes U, etc between iPhone and Mac in two-way sync. Free up your iPhone space, best iTunes alternative. 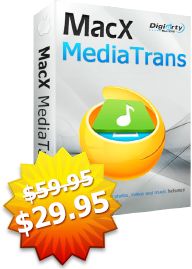 MacX MediaTrans Full Version Lifetime free upgrade. 30-day money back guarantee. √ Transfer videos & music between iPhone iPad and Mac. √ Backup photos on iOS devices to Mac with fast speed. √ Easily Add/delete/edit playlists without iTunes limits. √ Quickly create exclusive ringtones for iPhone users. √ Fully support the latest iPhone XR/XS and iOS 12. 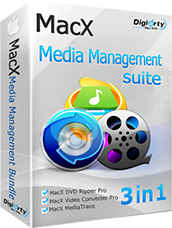 Integrated with MacX DVD Ripper Pro, MacX Video Converter Pro and MacX MediaTrans. 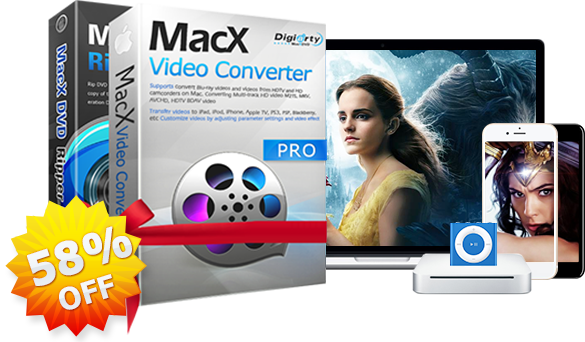 Rip encrypted DVDs, download videos, convert among HD and general videos, record & edit video, backup and manage data between iOS devices and Mac in two ways. FREE lifetime upgrades to future versions. 30-day money back guarantee. Preferred 24/7 customer support. Rip any DVD and convert videos to MP4, FLV, AVI, MOV, H.264, WMV, MP3 etc. Transfer DVDs/videos to 350+ devices, iPhone, iPad, Android handset included. Edit video: cut, crop, merge, split, add subtitle and watermark to video. Constantly upgraded to remove all the copy restrictions from purchased DVD. Download YouTube videos, record screen, turn photos into vivid slideshow. You are entitled to free upgrade the software when a higher version gets released. Always use the latest version with no limitations. Our support team is available 24 hours a day, 7 days a week to provide quick and professional solutions for every customers without delay. The zip file you downloaded just now contains the giveaway license code. You could also find your license code and download info in your email.